This online store provides the service of selling NFL jerseys and apparels to fans; they make NFL merchandise that is always in high demand available for fans to order anytime they want. They make caps, T-shirts, hoodies, baseball hats, snapbacks, socks, head warmers all available with NFL team logos on them. Below are my findings about this online store to help you answer some of your questions. The price of their merchandise ranges from $8 for socks to as high as $200 on NFL team jerseys and apparels, depending on the merchandise you want and how much customized you want it to look. Their service is one of the best when it comes to football league team merchandise; they also sell other league merchandise such as NBA, NHL, NCAA, MLB, and others. They aim at satisfying their clients, they always want their customers to come back and shop with them again as it is their pride to know that they exceed your expectations. You can make your order by using the size option on the online store, and if your preferred size isn’t available, you can input the size you want, and they would make it for you. Their website is quite simple to use, and it has all their service options available for you to make a preference, you can also create an account on their website which enables you to enjoy some added incentives. Their jerseys and merchandise are of good quality and very affordable, starting price for all the jerseys is $40 while the starting price of merchandise is $8 both with a flat rate shipping fee irrespective of the volume of your order. A list of available merchandise on their website includes caps, T-shirts, hoodies, head warmers, socks, sleeveless and lots more. They also feature a different sale option called ‘’Operation Hat Trick (OHT)’’, which was set up to generate awareness and support for the recovery of service members who return home from war with traumas or wounds. Proceeds from the sales of OHT branded merchandise are donated to selected organizations that support the US wounded service members and veterans. They also have the ‘’Run The City’’ collection, all the merchandise under this collection has RTC inscribed on them. You wouldn’t want to miss out on their 47 classics, no-logo-same-fit collection as well, mainly for caps and can be worn by anybody as it fits after adjustment and looks smart on all. They offer a reliable shipping option for their customers. They have a flat shipping rate which means that your shipping cost remains the same no matter how many products you order. All packages are insured and tracked for your convenience; you will receive a tracking number for your purchase via email once your order has been shipped. 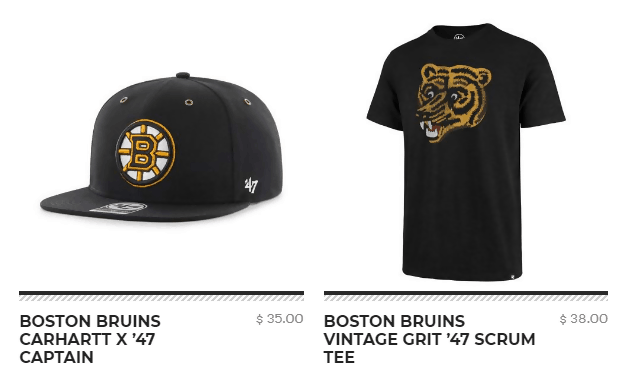 You can also check the status of your order if you have a 47brand.com account. Your order will process and ships within three business days of your order being placed, most orders placed by 1:00 pm EST Monday – Friday are shipped within two business days. Please note that this process may take longer during high periods of high volume. Purchases made from them may be returned within 30 days of shipment if the product is unwashed, unworn and make sure not to bend the brim and in new condition with all original components and tags still intact. They do not return the original shipping costs, but they cover return shipping which is good for the customer. Refunds will be issued in the same form as the initial payment within 14 business days of receiving the returned product. For a return process to be valid, the customer must include their name, order number which starts with 47B, the product you are returning and the reason for your return. I ordered three OHT caps for my friends and me, I made a color mistake during the order and didn’t even notice until the items arrived and I was mad at first. I contacted their customer service and was surprised when I was told that I got what I ordered for, I didn’t want to argue so I checked my order details and there was right. I called back and explained to them that I would like to make an exchange. I shipped back the wrong cap to them and got the right one in less than 48 hours after I made the return. Fabulous experience with them! !———– Danny from Stafford Springs. 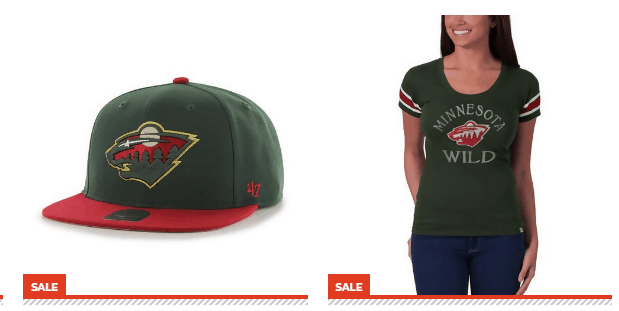 If you are the type that loves to wear NFL teams customized clothes, then 47brands.com is the right place for you, they are tested and trusted to provide the best service in this aspect. 47brand deals in providing the best merchandise with good product quality, their service is topnotch and they always manage to deliver to the best of their capacity.